The kingdom of Heaven is like treasure lying buried in a field. The person who found it, buried it again; and for sheer joy went and sold everything he had, and bought that field. Here is another picture of the kingdom of Heaven. A merchant looking out for fine pearls found one of very special value; so he went and sold everything he had, and bought it. St. Ignatius said: "The Glory of God is a person fully alive." In less than 1,000 days we shall enter a new century as we celebrate the birth of Jesus Christ 2,000 years ago ~ "Jubilee 2000." "Awakening To Our Treasures" is presented to prepare us for this celebration. Being alive in Christ gives us a new vision. We would like to prepare our hearts for the great event of Jubilee 2000 by reflecting on some of the "treasures" of grace and faith with which God has blessed our Eastern Catholic Church. In this first issue rejoice and celebrate the wonderful mystery beyond all mysteries "God Is with Us!" May our hearts awaken to all the beauty and wonders with which God gifts us in sharing His life and love. What is that experience of sheer joy St. Matthew speaks of? Have you ever experienced a joy so deep, so transforming, that you would be willing to sell everything to possess the treasure? How would you recognize a fine pearl of special value? Everything can speak of God if we are awake ~ truly awake. The poet Elizabeth Barrett Browning says: "Earth's crammed with Heaven, And every common bush afire with God; But only he who sees, takes off his shoes, The rest sit round it and pluck blackberries." The treasure will transform us if we allow it to take hold in our hearts. The treasure is God. We seek the grace to live in God's Kingdom. We need a new vision. Faith is that new vision. God is with us! A new vision compels us to open our eyes. We need to be awake to see God and all the wonderful ways He loves us. God graciously extends life to us, holding out treasures without measure. Extending a gracious hand, God offers us the pearl of great price, the gift of faith. How do we recognize this pearl? It is not always glistening with shiny beauty; on the contrary, often the pearl is shrouded in suffering, pain, anger or hurt. We need to be awake to all the moments and events of our lives in order to recognize the treasure. To have faith, to be awake, requires us to have trust that is unwavering like that of a little child. Jesus says that trust such as that of little children is the first, and only really, criterion for entering into the Kingdom of God. Ever notice how quickly and often children smile? A deep joy that encompasses all of life, a joy the world cannot understand or take away from us despite the difficulties it presents, this joy is the hallmark of those who have faith. The joy the treasure brings becomes part of the very fiber of our being, the fabric of our lives. As Eastern Christians our common prayer and worship reflects joy in the beauty of icons, the fragrance of offered incense, our hearts raised in song in the midst of churches splashed with gold and vibrant color. Let us rise from our slumber and seek out God's plan to enter the kingdom, search out the treasure, and seek the pearl of great price. May our seeking, our finding, our joy in awakening to our treasures, lead us to a new vision, so we may truly see God as we prepare to celebrate Jubilee 2000. I will celebrate your love forever, Lord. and your faithfulness founded firmly in the heavens. Happy the people who learn to acclaim you! and exult in your righteousness. Once you said, "I will keep my love for my people always. My covenent with them stands firm. that is a hymn to God's faithfulness. The glory of God is our paramount consideration when we come to prayer and worship. We constantly proclaim the holiness ~ the otherness ~ of God: "You are holy, O God, and we render glory to you . . ." We follow the example of Moses in his encounter with God. We remove our shoes, we bow low in worship, we are cognizant of the basic reality that we are on "holy ground." As Moses did, our priests cover their faces with the veil as the Creed is proclaimed at the Divine Liturgy, revealing the divine glory. All of us are invited to "lift up our hearts to the Lord." Praying with the Sacred Scriptures we will see God's glory revealed in His saving acts: His righteousness and faithfulness, the deliverance He promises in the sending of a Messiah. All these uniquely loving and mighty acts show forth the glory of the One who calls us to be His own. God is holy, therefore God is just, and faithful, and without limits to His love. All our Eastern Liturgies proclaim that holiness is the unique quality of God: "One is holy, one is Lord." We cannot come in contact with the Holy One and remain unchanged. The Scriptures constantly attest to the fact that encounters with God are awesome, transforming events. We need only to reflect on the accounts of Abraham and Sarah, David, Esther, Job, Ruth, Peter, Mary Magdalene, John and the countless saints we call "holy," ~ ordinary folks, like our grandparents and neighbors; those who heard the Word of God and kept it in their hearts. We are mysteriously drawn to God. God wants to be with us! Awesome and even overwhelming as the experience of coming into the presence of the Living God may be, we know that our lives are only complete when we live with our "hearts lifted up to the Lord." God accepts our desire and makes Himself accessible to us. Union with God is the entire reason for our being. We become, in grace, God's people, who witness to God's glory by recognizing His holiness and proclaiming His divinity. We are all aware of the many events, persons and situations that continually tap at our hearts. Our response to life either hardens our hearts or as Joanna Macy says: "The heart that breaks open, can contain the whole universe." Our holiness depends on our openness. Our God will meet us in even the darkest of situations and lead us to experience the radiance of the light of God. This is our very purpose St. Peter says: "You are a chosen race, a royal priesthood, a dedicated nation, and a people claimed by God for his own, to proclaim the triumphs of Him who has called you out of darkness into His marvelous light. You are now the people of God, who once were not His people: outside His mercy once, you have now received His mercy." (1 Peter 2: 9-10). God Is with Us! How our hearts swell when we sing over and over again in the Great Compline that indeed "God is with us!" God has been with us since the beginning of time, the creator of time, the sovereign of history. God spoke to Moses and declared that a celebration be held every fifty years called the Jubilee Year. It is the expansion of the concept of the Sabbatical Year held every seven years in which one would not sow crops, depending on God, the source of all good, to provide adequately for life. This dependence on God led to the freeing of slaves and the forgiving of debts contracted during the intervening years. The Sabbatical Year was an opportunity to reflect on life and renew the spirit of the people. At the end of a week of sabbaticals (seven times seven, therefore forty-nine years) a Jubilee Year was to be celebrated. The directives that God gave for these celebrations also entailed a reawakening of trust in the wonderful goodness of a loving God. Refusing to plant crops for an entire year, places life in jeopardy but acknowledges a God who is the provider of all good things. The Sabbatical and Jubilee Years provide a practical measure of the depth of one's faith. An obvious consequence of the celebration of the Jubilee Year was a renewed sense of gratitude. 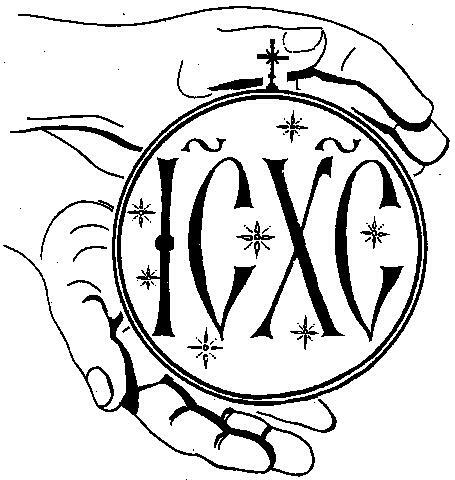 This is an awesome opportunity to discover again the graciousness of our God in each moment and event of our individual lives and in our lives as a Christian Community blessed with the grace and the responsibility to live the message of Jesus Christ as Eastern Catholics. Let us "awaken" to the treasures of faith and all the life-giving gifts God has bestowed upon us. May we begin today to prepare, to proclaim, to participate fully in Jubilee 2000 with trust, renewal and celebration. This column is dedicated to one of our greatest treasures ~ the wisdom of our grandmothers. We truly experience that "God is with us," because of our Grandma's love for God and us. "What can I do to attain God?" The master answered by asking: "What can you do to make the sun rise?" The young monk was insulted and asked defiantly: "Why then are you giving me all these methods of prayer?" The master replied: "To make sure you are awake when the sun rises." A little girl was standing with her Grandma by an old-fashioned open well. They had just lowered a bucket and drawn some water to drink. "Grandma, asked the little girl, where does God live?" The old woman picked up her little granddaughter and said, "Tell me, dear, what do you see?" The little girl looked into the water and exclaimed, "I see myself!" "And that, my dear, is exactly where God lives," said Grandma. Faith manifests iteslf on the human level and on the divine. This is best exemplified when the resurrected Christ revealed Himself to the Apostles in the upper room. (John 20:19-29). We receive the gift of the Holy Spirit, in the sacrament of Chrismation, giving testimony to Christ's resurrection. 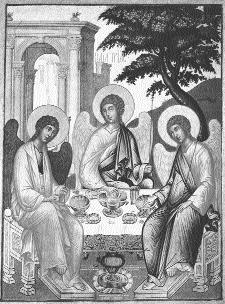 In the Divine Liturgy the role of the three divine persons in the plan of our salvation is actualized. The Father, since the fall of Adam, initiated a plan for our salvation. The Son, by his word and sacrifice becomes the fulfillment of the Law and the Prophets. Our God, in love sends down upon us "the divine grace and gift of the Holy Spirit," to bring about our sanctification and salvation. for it has saved us." Once upon a time about 17 hundred years ago, a young man decided to become a saint. He said goodbye to his family and friends, sold all he owned, gave the money to the poor, and walked off into the desert to find God. He walked through the desert sands until he found a dark cave. "Here," he thought, "I will be alone with God. Here nothing can distract me from God." He prayed day and night, facing many temptations in his prayer, thinking often of all the wonderful things and fine friends he gave up to be in the desert. After a long time the temptations stopped. St. Anthony of Egypt was at peace, having nothing but God. A legend associated with St. Anthony tells us that God said to him one day: "Leave your cave for a few days and visit the shoemaker who lives in the town some three days journey away. Stay with the shoemaker and his family for a few days." 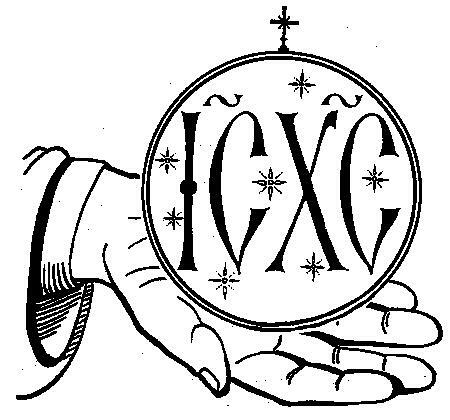 The holy hermit was very puzzled by God's request, but obeyed and started immediately on his journey. He walked across the hot desert for three days and finally entered a small village. He inquired about the home of the shoemaker and local residents pointed him in the correct direction. The shoemaker greeted Anthony with a warm smile and invited him into his home. The shoemaker did all he could to make Anthony comfortable. He provided him with a warm comfortable bed and the shoemaker's wife prepared delicious meals for them. The hermit stayed with the family for three days. He asked many questions about their lives, but didn't speak much about himself. Over long discussions at meals the shoemaker, his wife and the hermit became good friends. On the morning of the fourth day the hermit said goodbye to his new friends and started out to cross the desert. He walked back into his cave wondering why God had sent him to visit the shoemaker. "What was the shoemaker like?" God asked Anthony once he had settled back into the cave. "He is a simple man," the hermit began. "He has a wife whom he loves very much, and they are preparing for the birth of their first child. He has a small shop where he makes shoes. He works hard. They have a simple house. They care greatly for the poor and all those who have less than they. Prayer is important to them and they have great faith in You. They have many friends. The shoemaker enjoys telling jokes." God listened attentively and then said, "You are a great saint, Anthony, and the shoemaker and his wife are great saints also."